Activision today unveiled its action-packed lineup for the 2018 Electronic Entertainment Expo (E3)! The event will be held from June 12-14 at the LA Convention Center. At Activision booth #1001 in the South Hall, attendees will experience the first public hands-on gameplay with blockbuster titles Call of Duty®: Black Ops 4 , Destiny 2: Forsaken and Spyro ™ Reignited Trilogy. 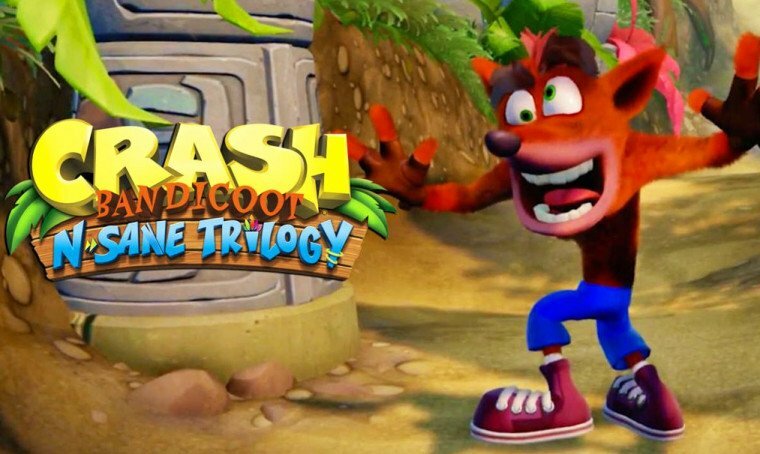 Fans can stay tuned for additional Activision announcements, including Crash Bandicoot® N. Sane Trilogy news, next week. 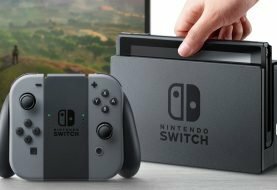 “Activision’s E3 2018 slate is all about giving fans what they want – hands-on experiences with their most-beloved game franchises,” said Tim Ellis, CMO of Activision. Hot off the heels of the most-watched game reveal in Call of Duty® history, the title that offers more ways to have fun with your friends than any Call of Duty before, Black Ops 4 comes to E3 to give fans a new hands-on experience with the game’s multiplayer mode, including a new map debuting at the event. Black Ops 4 features grounded combat, along with new levels of customisation and tactical gameplay, and a variety of new weaponry, maps and modes for the ultimate Black Ops multiplayer experience. The game features the return of the iconic Pick 10 system, along with a series of innovations in weapon controls, combat flow, health regeneration and player movement. Black Ops 4 features a combination of new and returning Specialists, each with their own unique weapons, equipment and playstyles. Players will be powerful alone, but devastating as a team working together. Attendees are invited to play the Black Ops 4 multiplayer mode on PlayStation® 4 and PC in Activision’s booth #1001 in the South Hall, and on PlayStation® 4 in PlayStation’s booth #4322 in the West Hall. Following the reveal of Destiny 2: Forsaken earlier this week, Bungie, High Moon Studios and Activision will showcase a new mode for the franchise called Gambit. Gambit is a 4v4 hybrid mode that merges PvE and PvP experiences into an epic battle. It’s a new way to play Destiny 2, offering something for all players to enjoy, appealing to those who thrive on the competition and unpredictable elements of PvP gameplay, while seamlessly blending the collaborative and cooperative elements of PvE. In addition, the franchise will debut hands-on with three of the brand-new Supers, the ultimate expression of power in the game. Attendees are invited to play Destiny 2: Forsaken’s new mode Gambit, on PlayStation® 4, in Activision’s booth #1001 in the South Hall and in PlayStation’s booth #4322 in the West Hall. Fans will have a claw-some time at E3 this year with playable levels of Spyro®Reignited Trilogy at the show. 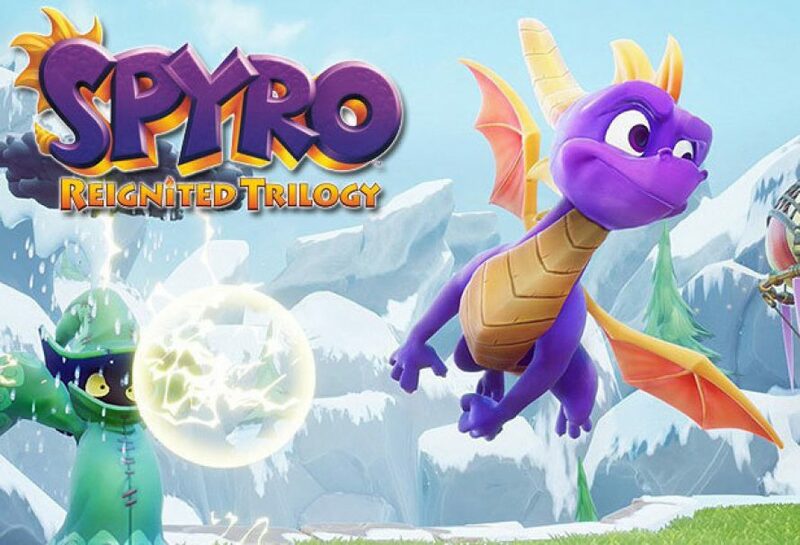 Spyro Reignited Trilogy at E3 is the first chance that Spyro-maniacs will be able to glide to new heights, unleash fire-breathing attacks, and explore lush environments all in HD graphical glory! Fans will enjoy reliving some of their favourite Spyro experiences from 20 years ago in this remastered trilogy that features improved environments, updated controls, brand-new lighting and recreated cinematics – all mapped faithfully from the originals. Call of Duty: Black Ops 4 – The series which has become the most played in Call of Duty history as well as a cultural phenomenon around the globe returns October 12th with the release of Call of Duty: Black Ops 4, a gritty, grounded, all-out combat experience. Black Ops 4 raises the bar for Multiplayer mode that increases tactical gameplay and player choice, along with the biggest Zombies offering ever with three full experiences at launch, and Blackout, where the Black Ops universe comes to life in a massive battle royale experience featuring iconic characters and locations from all four Black Ops games in a one-of-a-kind offering that is uniquely Black Ops. Call of Duty: Black Ops 4 transforms the established universe played by hundreds of millions of fans with the largest gameplay experience ever created in the series. Call of Duty: Black Ops 4 is published by Activision and developed by Treyarch with additional development support from Raven Software and PC development with Beenox. The title is scheduled for release on PlayStation 4, Xbox One and PC on October 12th. Fans can pre-order now and get access to the Call of Duty: Black Ops 4 Private Beta*. Black Ops 4 for the PC delivers a fully-optimized experience, which for the first time in Call of Duty’s history will be available exclusively on Battle.net, Blizzard Entertainment’s online gaming service. For more information and the latest intel check out: www.callofduty.com , www.youtube.com/callofduty and follow @CallofDuty and @Treyarch on Twitter, Instagram and Facebook. Following years of strife, what remains of the Reef has fallen to lawlessness. Players investigate the recent unrest and will explore new regions, awaken new powers, and earn powerful weapons. Building on the most requested desire for a deep and rewarding endgame experience, Destiny 2: Forsaken features The Dreaming City destination. Full of secrets to discover and bosses to defeat, this destination also houses the brand-new raid and is the first space designed from the ground up to support endgame content. Available to all Destiny 2 players around Forsaken’s launch comes highly anticipated changes and features such as a new weapon slot system, Random Rolls, improvements to the mods system, and numerous other quality-of-life improvements. Destiny 2: Forsaken will be available for download on PlayStation®4, the Xbox One family of devices including Xbox One X, and PC. The PC version of the expansion will also be available exclusively on Battle.net®. For more game information, visit www.DestinyTheGame.com and follow the official Destiny social channels on Facebook and @DestinyTheGame on Instagram and Twitter. The community can interact directly with the developers at www.Bungie.net , Facebook, @Bungie on Twitter, Instagram and www.Twitch.tv/Bungie on Twitch. The Spyro Reignited Trilogy launches on September 21 and is available for pre-order now on PlayStation® 4, PlayStation® 4 Pro and the family of Xbox One devices from Microsoft, including the Xbox One X! 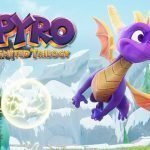 Spyro Reignited Trilogy introduces players to a fully remastered game collection of the three original Spyro™ games that started the phenomenon: Spyro™ the Dragon, Spyro™ 2: Ripto’s Rage! and Spyro™: Year of the Dragon. E3 2018 Is Looking Great! Heres What To Expect.